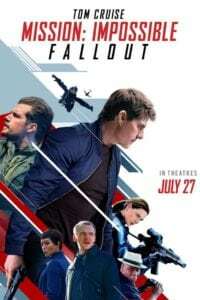 Starring Tom Cruise, Simon Pegg, Ving Rhames, Rebecca Ferguson, Henry Cavill, Sean Harris, Vanessa Kirby, Angela Bassett, Alec Baldwin, and Sian Brooke. 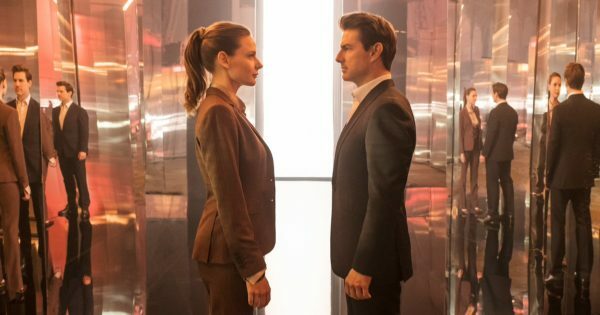 Two years have passed since Ethan Hunt (Tom Cruise) prevented the Syndicate from destroying IMF, but as with all terrorist organisations, a new faction has emerged into the world of international espionage, bringing with it some familiar faces, and giving Hunt little choice but to accept this mission or deal with catastrophic consequences. 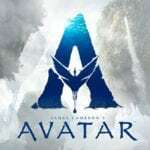 Few could have imagined that the sixth installment in a twenty-two year old franchise would not only light the fuse on the summer, but be both the best Mission of the series, and one of the standout action films of this or any other year. 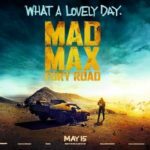 Some might call it impossible, but once you’ve witnessed the giddy brilliance of the best close-combat fight sequence not involving an amnesiac agent, and the kind of practical stunt work that hasn’t been seen on this scale since we were dragged down Fury Road, unlike the IMF, you’ll have no choice but accept what’s being laid out in this cinematic debrief. The first Mission: Impossible sequel to retain a director, keeping McQuarrie as head-of-affairs proves to be a masterstroke. He successfully builds upon the emotional foundations laid in J.J. Abrams’ underrated M:I:3, with a through line that is so important in establishing real stakes at the core of Fallout‘s plot, which despite the crash-bang-wallop brilliance, is the real reason why the movie excels. It cannot be stressed enough how the success of Fallout is down to the fact that McQuarrie imbues the action with a soul. 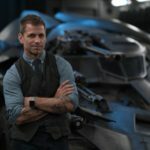 You’ll be gobsmacked by the size, scale, and practical elements involved in seeing Tom Cruise swinging from a helicopter, or infamously leaping across London rooftops, but believe us when we tell you that such scenes are merely a teaser when it comes to the mechanics of some of the set-pieces orchestrated here, but this time it’s different, because you care about the characters being flung around the screen. Cruise has never been better as Hunt, now a man who’ll “burn that bridge” rather than cross it, he displays a fallibility that often undercuts the indestructibility you’d ordinarily associate with previous versions of the character, and your standard blockbuster protagonist. Here he suffers from apocalyptic visions that’d make Sarah Connor shudder, and is regularly on the receiving end of a beating. As with previous Missions, his easy patter with Simon Pegg is as much a part of the set-pieces as rubber masks and the odd-double cross, and is sprinkled throughout. 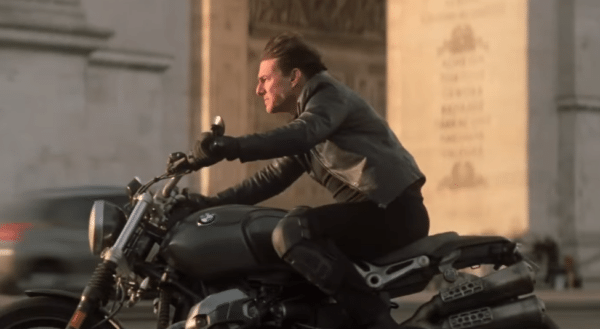 The chemistry between Cruise and Rebecca Ferguson (spin-off please) might be less meet-cute and more meet-shoot, but it provides another tangible human element, which in turn adds further weight to helicopter ballets and motorcycle mayhem. Directing so many moving parts with the fluidity of a Swiss timepiece, McQuarrie has made Fallout an action movie masterclass; from the early nightclub scene, which is soundtracked to a pulsating beat, and is complimented by the equally percussive punches from Henry Cavill (also excellent), to the sight and sound of a motorcycle speeding through Parisian archways, punctuated by intermittent whooshes. It’s the kind of filmmaking that has you lurching left and right in your seat in sync with the on-screen action, or wincing, and emitting involuntary “oooohs” and “ahhhhhs” at the sheer spectacle of it all, and that’s surely what cinema was made for? Accept it. Fallout is brilliant.